Build new relationships quickly - When you get a visitor to your website for the first time, you need to build a relationship with that person. When you have an intense content building campaign, you can build that relationship quickly. The visitor will see plenty of content. They will also notice that you are adding content constantly. That will keep them coming back for more. Strengthen existing relationships - If you have existing customers, an intense content campaign will help strengthen those relationships. You can give them valuable information and up to date news on your area of expertise. All of this helps to reinforce your place of credibility in their world. Reap SEO benefits - When you imbue your content with keywords and make it SEO friendly, you will start to see results. Those pages will start climbing in the search engine ranks. This will drive more traffic to your site. The more content you add, the more traffic you will see. Draw new traffic to your website - Quality content will be attractive to people who have never visited your site before. When your content starts to gain search engine placement, your traffic numbers will go up. And much of that traffic will be first time visitors. Fresh visitors give you plenty of opportunity to convert them to leads. Generate more leads - When you have good content and quality landing pages, you will have the chance to convert visitors, new and old, into leads. With higher traffic numbers, your lead generation efforts should increase also. Expand brand awareness - A big bonus of content generation is to bring awareness to your brand. When people come to see your content, you will have the chance to show them the quality your brand offers. Your brand will have a positive association with rich quality content. 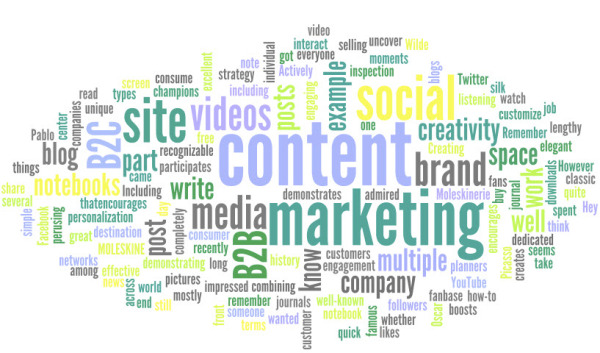 Adopt online content marketing into your business plans. You can choose the pace you want to set. Even a slower pace will give you tangible benefits. Going the intense route will reap those benefits that much faster. You can launch your website with an intense campaign and slow down later. Just begin adding content to get your website off the ground.